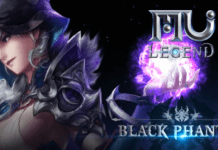 Other than Asta, Webzen recently announced the addition of another online game recently, Elite Lord of Alliance (ELOA), to its expanding global platform. However, gamers are unsure about the game, seeing that it has already launched as “Inspirit Online” for North America and Europe under another publisher. MMO Culture speaks to both Webzen and developer Npicsoft to find out more. Q: Hi, could you please introduce yourselves to our readers? [Dennis]: Hello, my name is Dennis Choi, and I’m the founder & CEO of NPICSOFT Inc., the developer of ELOA (Elite Lord of Alliance). It’s very nice to meet you, and thank you for this interview opportunity. Today I’m joined by Richard Sunmyoung Moon, Head of Global Business at WEBZEN Inc., the official publisher of ELOA in the West. Q: The burning question on gamers’ minds is regarding Inspirit Online and ELOA. Could WEBZEN and NPICSOFT provide us with a clearer picture of the situation? [Dennis]: We understand that this situation must have caused a lot of confusion among players, who learned about ELOA and started playing it under the name of “Inspirit Online”. Inspirit Online is not an official version of the game. In fact, we have sent many official notifications to the corresponding company, declaring Inspirit Online as an illegal copy of ELOA. It is important to note that NPICSOFT has registered the global license of the brand name “ELOA”, along with its characters, etc. This includes licensing rights for North America, Europe, and other countries. However, a company called “GRE” is still continuing its unauthorized services. The developer of ELOA is NPICSOFT, and the official publisher of ELOA is WEBZEN. Inspirit Online is simply a copy of ELOA, a game developed by us, and will be considered as an unauthorized, illegal private server. 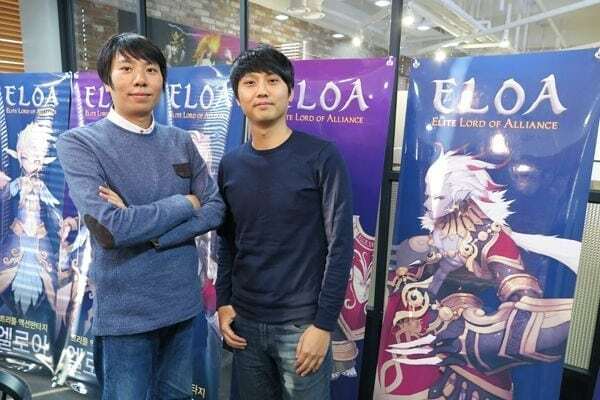 Q: Did WEBZEN agree to sign the publishing rights for ELOA knowing about this conflict? [Richard]: Yes, we were aware of it before signing the publishing contract. We received confirmation from experienced developers that Inspirit Online is a very obvious illegal copy of ELOA, the original. However, we couldn’t just give up a good game like this one, so we decided to sign the contract, embracing the risks at hand. After NPICSOFT discovered this illegal copy of the game, they sent an official notice to their Korean partner, Netmarble, in order to work together to put a stop to the unauthorized service of Inspirit Online. While the official publishing contract with WEBZEN was still in preparation, NPICSOFT had also taken important advice from WEBZEN on this matter into consideration. Now that the publishing contract has been signed, WEBZEN will take every legal and business measure to manage WEBZEN’s license to the best of our ability. WEBZEN has been authorized to utilise all rights for the game’s brand and license to enforce adherence the lawful copyright of NPICSOFT, and will try our best to protect the license of NPICSOFT which was infringed without notice. Q: Players have gotten pretty far in Inspirit Online, which supposedly has similar content to ELOA. Is WEBZEN worried that players might not appreciate going through the same content from the start? [Richard]: After a thorough investigation, we came to the conclusion that Inspirit Online is using a CBT client from the Southeast Asia version of the game, which was leaked without authorization. Rest assured that we are not worried about WEBZEN’s official version of ELOA, as we already have huge amounts of content readily available for our beta test. This includes new maps and classes which have already been developed by NPICSOFT, but are not included in the leaked CBT version that Inspirit Online is using. We’re very certain that Inspirit Online, currently operated illegally, will never keep up with our content releases. We look forward to showing you the distinct differences between the original and copy, as we offer much better quality assurance for our live operations, and receive direct support from the original developers of ELOA. Because of this, the two games will show incomparable differences in terms of service stability, with superior security/server connections, and so forth. Q: Is it fair to say that ELOA, under WEBZEN and NPICSOFT, will have better support and perhaps more unique content compared to Inspirit Online? [Dennis]: ELOA is currently serviced by our Korean partner company, Netmarble, and contains much higher quality content compared to Inspirit Online, with the localization for North America and Europe already in progress. About 100 developers at NPICSOFT’s ELOA studio are currently devoting all their energy to the global release. We’re very certain that the running of Inspirit Online, without any basic understanding of ELOA, will never be a match for the official content of the original game. Q: What are the qualities of ELOA and NPICSOFT that impressed WEBZEN, and led to the signing of the publishing contract? [Richard]: We have evaluated the excellent gameplay of ELOA and the development capability of NPICSOFT very closely. In addition, NPICSOFT has lots of experience with services abroad, as well as a strong desire to expand its services across the North American/European areas. NPICSOFT was certain that this would be a huge benefit when combined with the 60 million members of WEBZEN.COM. Q: Let’s move on to the game content itself. Could you provide us with a summary of ELOA’s story, and what roles do players have in the game? [Dennis]: Set in a continent called Epheia, players of ELOA will take on the roles of warriors in the middle of the War of the Titan Clan Invasion. Each player can join the Alliance of one of the races that exist in the continent, such as the Kartu, Liru, Sapiens, etc. Through this fierce battle and growth, players will be reborn as a legendary “Elite Lord”, and finally awaken their real power. The game will also include the story of the Elite Lord. After becoming an Elite Lord, players will fight with new enemies and guide Epheia towards peace and stability. Q: Is there a reason for naming the game “Elite Lord of Alliance”? Will players really become “lords” in the game? [Dennis]: As mentioned above, players will be awakened to Elite Lords through engaging in fierce battles and encountering numerous incidents as members of the Alliances of each race. This is one of the main themes of ELOA. We therefore decided to name the game “Elite Lord of Alliance”, in order to reflect this. Also, we have configured the game design so that players can be naturally awakened to Elite Lord status, and obtain power equivalent to the level through engaging in a variety of scenarios in game. I hope you enjoy your journey to becoming Elite Lord, as you adventure through the vast world of ELOA! Q: On the PvE side of things, ELOA looks dungeon-heavy. Will there be bigger/open-world maps capable of holding more players than just one party? [Dennis]: The content of ELOA as an MMORPG is constantly improving and expanding. Most of the game content currently open to the public is composed of instance and raid dungeons, which has been the express intention of the development team. Very soon, we plan to create a large-scale siege battle and neutral area where players can continuously enjoy open-world PvP, along with open-world raiding. Although ELOA has a more dynamic battle style compared to other MMORPGs, we also plan to make it possible for players to engage in a variety of PvP battles, even in the open world. We hope to get a lot of support from you with this! Q: It was mentioned each class will have 3 stances. Could you explain more about this stance system, and when players will need to switch stances? Each battle stance has its own unique features for playing solo, in a party, and PvP. Based on this feature, users can enjoy a total of 24 skills per each battle stance as they please. Players can gain the advantage in battle by not only easily responding to constantly changing battle tactics, but also by customizing their own battle style and combos as freely as they want. Players proficient at combos in this way can take an advantageous position in PvP battles against other players who have equivalent abilities. This makes battle control in this game more interesting compared to any other previous MMORPG. Q: What about the PvP features in ELOA? Will there be any at launch? [Dennis]: ELOA is offering “Blood Battlefield” and “Honor Battlefield” PvP areas that can be played during certain times, based on certain rules. In the Blood Battlefield, players can enjoy small scale PvP ranging from 1v1 to 4v4 matches, while in the Honor Battlefield, players can take part in a MOBA type system just like LoL, offering 6v6 to 12v12 matches. Even while within the Blood Battlefield and Honor Battlefield, players will be able to use their skills, level, and items that they have obtained. Accordingly, we encourage users to play regularly as the game requires the acquisition and growth of items, as well as battle control. Also, users can purchase a variety of new items at the Fame Points Shop, where they can use special points (Fame Points), only acquired through PvP areas like above. With Blood Battlefield being introduced in the upcoming Beta Test, after localization and improvement the public will be able to experience this excellent PvP system during the second Beta Test. Q: Are there any casual modes or features players can expect, such as crafting, housing, etc? [Dennis]: ELOA features a system where you can not only acquire items dropped in dungeons, but also disassemble items, and craft ones you desire with others that you have collected. Currently, players can craft weapons, armor, accessories, potions, etc., but we also plan to release more high quality content via regular updates. These will include a “Personal House”, where players can decorate interiors and invite other players over, and a “Guild Cruiser” (Guild Ship), which will be the peak of the guild community. Q: What do you think makes ELOA unique compared to other online games on the market right now? [Dennis]: I think ELOA is superior to any other MMORPG currently active, owing to its unique dynamic battle system among many MMORPGs where stable server synchronization is the most crucial. 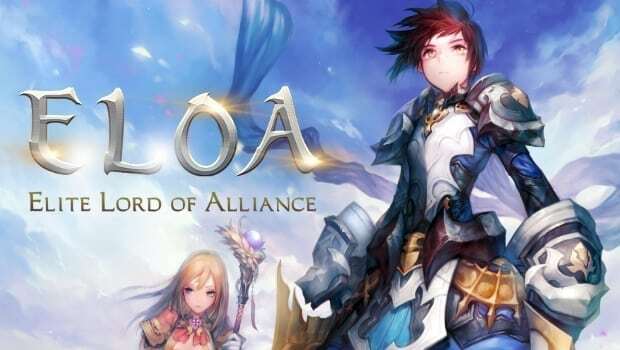 I believe the unique feature of ELOA is the strategy whereby users can customize their own various skills and combos, and apply them to battle at any time, as opposed all the emphasis simply being on actions. In addition, we provide a smooth gaming experience with an easy-to-use “Automatic Party Matching System”, to support users in PvP areas and dungeons. Also, we allow players to acquire and grow their own pets to move faster and enjoy various conveniences. Users will be able to see a variety of pets in the town. 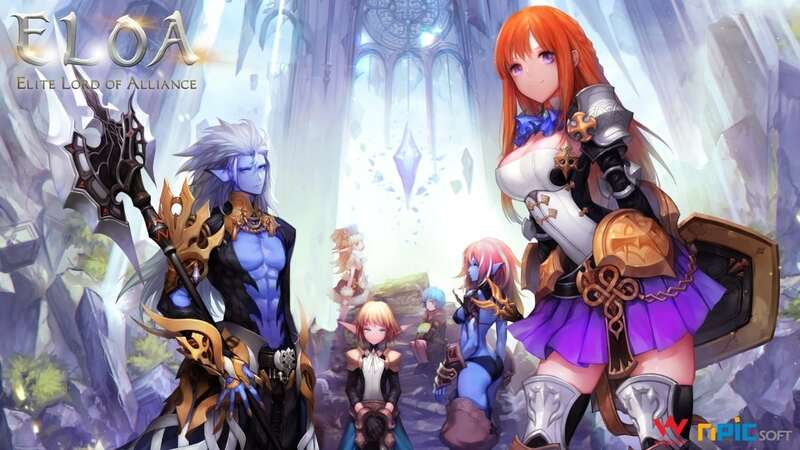 Q: For WEBZEN, the company has both ASTA and ELOA lined up for launch later this year. Will the launching of two different games within a close period of time create a clash of interests? [Richard]: ASTA is a well-made MMORPG inspired by Asian myths and legends, set in a vast and vibrant world filled with colorful environments and unique characters. I think each game has its own strengths and characteristics, for example; ELOA’s gameplay is more action oriented than ASTA’s. 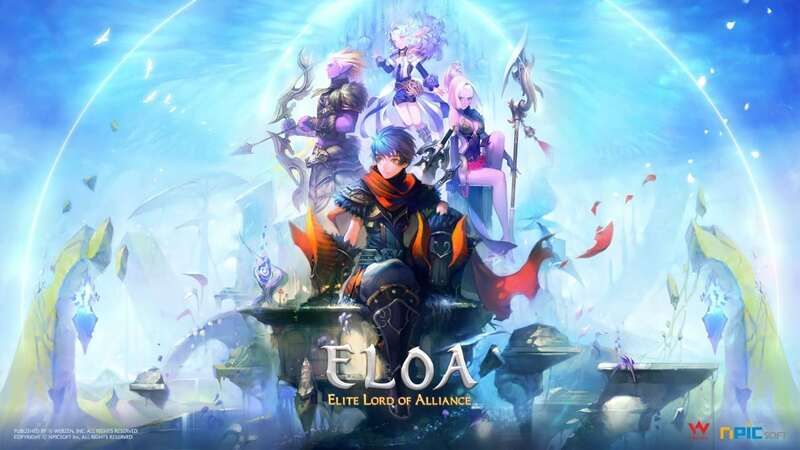 I’m sure that the successive releases of ELOA and ASTA will be a positive move, allowing users to enjoy more diverse MMORPGs, rather than creating a competitive relationship. Q: In conclusion, do you have any words for our readers, perhaps those who have already played Inspirit Online? [Dennis]: To be honest, we, the ELOA developers in Korea, were disappointed when we received news of the illegal copy of ELOA. It’s sad to see a game which has been developed for such long time, and with great effort, being illegally distributed. However, the disappointment did not last long once we entered our wonderful partnership with WEBZEN, with their ability to help us provide quality content and services to our customers. In fact, this made us even more driven to rise to the challenge, giving us extra motivation to provide the very best product to our users. We will show our energy and enthusiasm through the Western launch of ELOA in the near future, and we will repay you with better content and even more enjoyment. Also, we are always eager to hear your feedback and valuable comments. Thank you! Just to note, I tried contacting the staff of Inspirit Online some months ago, but no one replied. Why would they reply if they’re running illegal game? which they do based on what you got from the devs themselves. It’s game over for that “inspirit online” deal soon it’s clear as day. And they likely already packing bags if they did not already bailed yet and the servers just running their course till the next time the bill for them must be paid which it wont be. They did claim they are legit in a forum post, so I tried to get their side of the story. But nobody can blame you of course since devs were quiet about the whole deal with the game yes? so nobody really knew wtf was going on. I pity those who spend hundreds and thousands of dollars on that illegal server. O used to spend sums like this in games long time ago.. then i realized what a moron i was and stopped. No mmo released these days seem to worth a dime anyway. They need to fix that hit box, that’s my only complaint about. what would make this game even better, is to actually give the pet system its own combat feature (you know taking over the pet and actually fighting with them). This feature would stand over many other games and will draw in many people, simple because of its Pokemon like feature. What do you mean by hitbox? What’s the issue? Could it be lag related? As you can see, there are different races, you would think that they have different size hit box, but no. They are all the same. So the small race has the same hit box and the larger one. It becomes annoying when you can clearly see that your char did not get hit, but you still do. And no it has nothing to do with lag. Hrm.. Webzen and Netmarble.. 2 failures in my eyes especially Netmarble. Its annoying as hell but i may just give Webzen a chance since from what i gathered during my brief time playing the “private server” version of the game, the game does have good potential especially the 3 stance system. The 3 stance system is nothing extraordinary but it makes mashing many buttons at once more… comfortable so to speak, you can quickly switch to another set of skills using just F1 F2 and F3 buttons, convenient. I know i know sounds similar to the usual skill bar switching but personally i find more comfort in how Npicsoft done it since the F123 button set is just above the number buttons.. plus the stances offer different skills as a bonus, i find it less boring this way as well. You can switch right in the middle of combat too super quick no hassle. Hopefully we’ll get improved controls and translation quality too. I see so thats what happened to me back when i was playing.. i randomly turned into this so called Elite Lord during normal gameplay which changed the character visually and considerably increased my power for a set period of time… like 5 minutes. Interesting addition.. and fun. The guild ship thing sounds like it’s been taken from allods not that i’m complaining i liked the idea back when i played allods very much. Well, game definitely has what it takes to be decent if not great, let’s hope Webzen doesn’t ruin it although i doubt it.